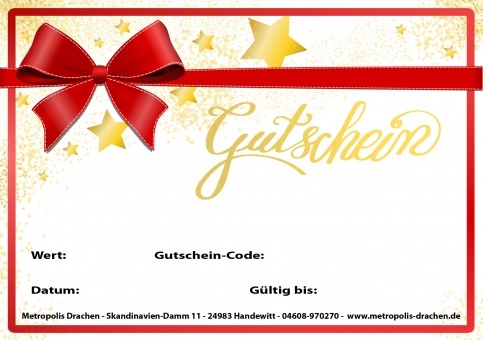 Metropolis Drachen | E-Mail voucher card Christmas | Buy online now! It is not always easy to find the right gift for your loved ones. Our voucher card can help you. The voucher card can be ordered as every other item - simple put it in the shopping cart. The voucher card will be sent to you as PDF attachment with your order confirmation mail after completing the purchase. Of course the voucher card code is instantly ready to use. The format is C6, so it will fit perfectly into classic envelopes. Just print it out and you are ready to go. Language of the generated voucher card depends on the choosen shop language. Within the Tab "Documents/Manuals" you can download a sample file for test print. 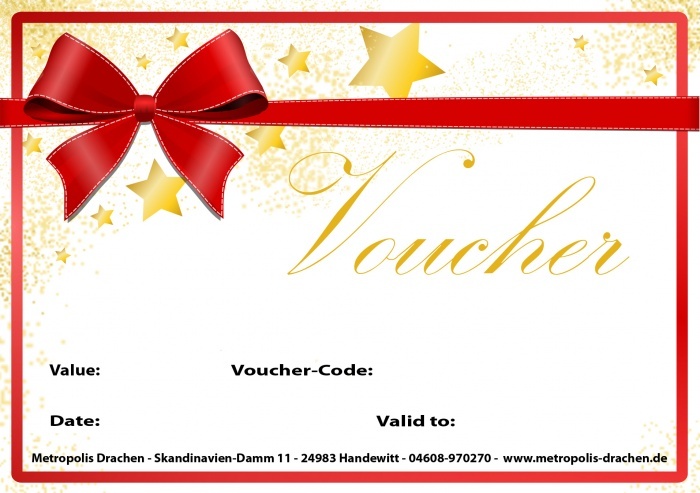 Please double check you e-mail adress so it is sure that you will get the voucher card instantly. Credit Card or (if you are living in Germany) Sofortüberweisung as payment method!